For most people, parenting, especially in the early days, means enormous highs and lows. Raising a child with special needs involves even greater challenges and demands for parents and carers. 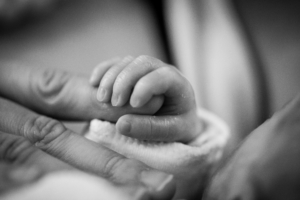 Some babies are born with physical and/or intellectual disabilities that will require specialist care during the first weeks of their life and potentially ongoing. Some parents will be aware of their child’s condition before birth and others will find out at the time of birth or over the coming weeks and months. This can be an extremely emotional time for parents while they are coming to terms with their new circumstances and getting their head around what needs to be done to ensure their baby receives the best possible care. The care of your child will most likely be overseen by a paediatrician, a doctor who specialises in caring for babies and children. You will most likely have a lot of questions and concerns and will need as much information and support as possible, talking to your doctor or specialist can help. It is important that you become well informed of your child’s condition so that you can advocate for them and to help you understand your feelings and how to cope with them.